China has traditionally stuck to a non-interventionist foreign policy. But On Sudan and Libya, it seems to be shifting. China formally recognized the new state of South Sudan on Saturday, 10 days after Sudanese President Omar Al-Bashir left the Chinese capital after signing agreements on ‘economic and technical cooperation.’ Coming on the heels of a senior Chinese diplomat’s visit to the Libyan rebel capital of Benghazi on Thursday, it highlights China’s peculiar relationship with unpopular and embattled leaders. 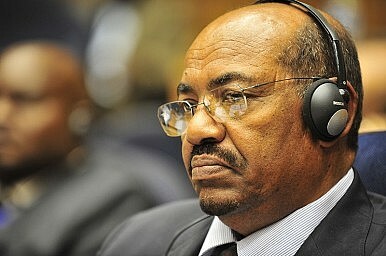 China has been at the receiving end of international criticism for its relationship with Bashir, wanted by the International Criminal Court for alleged war crimes in Darfur. It has also clashed with the United States and European powers over Libya, where China has been a vocal critic of NATO’s bombing campaign. But over the past few weeks, China has tacked toward supporting regime change, recognizing that the opposition ‘has become more representative by the day and is becoming an important political force,’ as the FT reported. US diplomats have recently spoken positively about China’s involvement in Sudan. China has a reputation as a patron of the world’s misbehaving leaders, from giving Iran’s nuclear programme cover at the United Nations to its continued economic support of North Korea’s Kim Jong-il and the military junta in Burma. In Iran and Burma, like Sudan, policy may be driven by China's ongoing quest for supplies of natural resources, as Chinese oil companies have won favourable contracts in countries under embargo from Western powers. Having repeatedly been on the receiving end of international human rights criticism, its leaders also have reason to sympathize with leaders like Bashir and Gaddafi. The wave of revolutions in the Middle East has raised the spectre of similar challenges to the Chinese regime, a fear that has undoubtedly contributed to the recent crackdown on pro-democracy activists. In Libya, China committed political capital despite a history of thorny relations with Gaddafi’s government, with state TV devoting hours of coverage to NATO’s bombing campaign – living in Beijing, I was repeatedly asked by Chinese friends why my government was invading Libya. China usually describes its own role as neutral, accusing Western powers of taking sides in domestic conflicts. But its stance has costs for China internationally. Anti-government protesters in Syria have been recorded, for example, burning Chinese flags following China and Russia’s boycott of UN Security Council talks on condemning the Syrian government’s harsh response to the protests. If China remains determined to defend the principle of sovereignty at any cost, it will find its name dragged through the mud again. But the conciliatory gestures to international opinion of the past few weeks suggest that its leaders may be having second thoughts. David Cohen is a freelance journalist. He blogs at www.sinocentric.net and his writing has appeared in the Christian Science Monitor, the Guardian Online, the Global Times, the China Daily and the Lowy Interpreter among other publications. To Interfere, or Not to Interfere? Chinese policy over Libya and Sudan suggests a possible shift in its non-interference doctrine. What’s happening?